Handmade organic accessories for kids, organic fabrics. Facial rounds in organic cotton. Zero waste rounds in a gift bag. Facial pads for woman gift. PurePixie is a one-stop shop for quality, eco-conscious baby products every mom needs. Most items sold in this shop have been originally conceived for my own kids and tested by them. 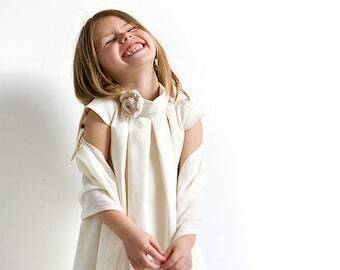 Because I care as much for the ENVIRONMENT as for my children's HEALTH, I select only HIGH QUALITY NATURAL fabrics, ORGANIC for the most part and use just enough color in my designs to make these ECO-FRIENDLY kids' items fun to look at and wear. My best wish is that they will go through several kids before finally being recycled or composted. Organic cotton sewing thread in white or natural. Scanfil wooden spool of organic cotton thread. Pink organic cotton sateen. 100% Organic Certified Cotton GOTS. Pink dresses fabric for wedding. Cotton by the 1/2 meter (50 cm). Organic towel in blue. Bath wash mitts and hooded apron towel. New mom gift. 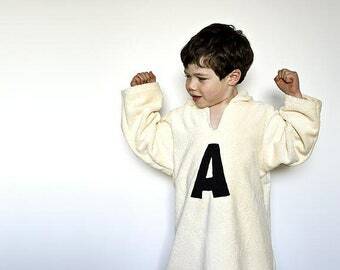 Children matching set. 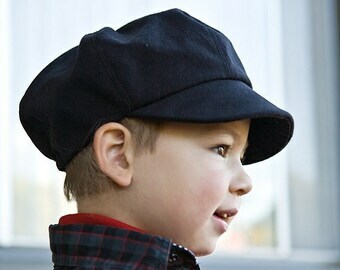 Newsboy cap for kids in organic cotton. Wedding hat for children. Select your color blue, black red, yellow, green, brown, cream. Yellow velour fabric in organic cotton. Golden yellow velour fabric by the 1/2 meter. Travel placemat for organic boys. 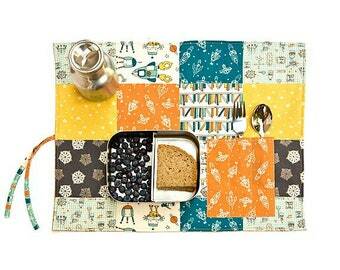 Ecofriendly placemat with cutlery pocket in blue, yellow and gray. Patchwork placemat in organic cotton. Orange poplin fabric in organic cotton. Organic muslin fabric in mandarin red by the 1/2 meter. un peu déçue,je m'attendais à recevoir un tissu chatoyant comme sur la photo,et j'ai reçu un tissu mat;la livraison cependant était soignée. PurePixie's new home in Brittany, France. The studio where it all started, Berkeley, California. Handmade has always been an important part of my life, but becoming a mom really fueled my deep love for sewing. 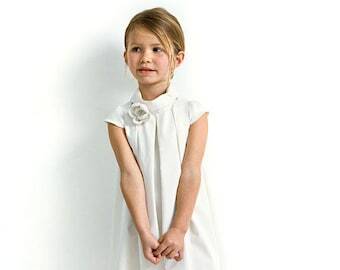 What started as cute organic outfits for my babies blossomed into a full-fledged business. Sustainability is a must for all supplies used in this shop. Besides using organic fabrics and cotton thread, I make a point to be zero waste (fabric incl.) and to use only home compostable and/or recycled shipping material. After enjoying life in Berkeley, California for over 10 years and giving birth to two French-American babies. I moved to France with my family and live in a small eco-village in Brittany. I grew up in Brittany, a Celtic area in the western part of France. I learned as a child how to make clothing with my Mom and Grandma, both professional seamstresses. Welcome and thanks for stopping by my policies page. All my shop items are handmade by me and they are one of a kind, unique pieces. ➜ I design all Purepixie's items by myself and make them all with great care. ➜ What is GOTS certification? GOTS certification is the highest organic certification, Unlike other certifications with GOTS each phase of organic fiber and textile production has to be certified to get the label (and not only the fiber like in other standards.) This way you can be sure that no harmful product was used on organic fibers during the production of the fabric. ➜ What is the OEKOTEX-100 certification? The Oeko-Tex® Standard 100 is a globally uniform testing and certification system for textile raw materials, intermediate and end products at all stages of production. The tests for harmful substances comprise substances which are prohibited or regulated by law, chemicals which are known to be harmful to health, and parameters which are included as a precautionary measure to safeguard health.